Have you asked yourself this question? “Am I really a US voting rights activist descendant? We said this before, and we’re saying it again. You may be a votes for women, first wave women’s rights descendant, and not know it. There are millions of us. Chances are—you haven’t yet discovered your essential role in US history. If you are a hidden descendant, you aren’t alone. Tens of thousands of women and their allies spent decades working for the right to vote from 1848 (and before) through 1920. They have descendants, and you, like many others, haven’t uncovered this part of your family history. In 2020, US women will have been voting for 100 years. That you may be descended from the first wave of American voting rights activists shouldn’t be passed over lightly. Many families didn’t mention this association and organizing priority to their children, grandchildren, great grandchildren, and other descendants. Even if you can’t make a direct family connection, the first wave of the women’s rights movement in the United States is an important and essential part of our national legacy and history…whether you’re a young person, woman, man, or wherever you find yourself on the gender continuum. The chances are excellent that you are descended, either directly or by interest, to the tens of thousands of voting rights activists and their allies who worked and sweated for decades to win the right to vote. If you aren’t directly related, you may be a descendent in some other way—spiritual or because of your level of interest. Our place in history will be celebrated during 2020, and we want to make sure you’re part of this turning point in time. 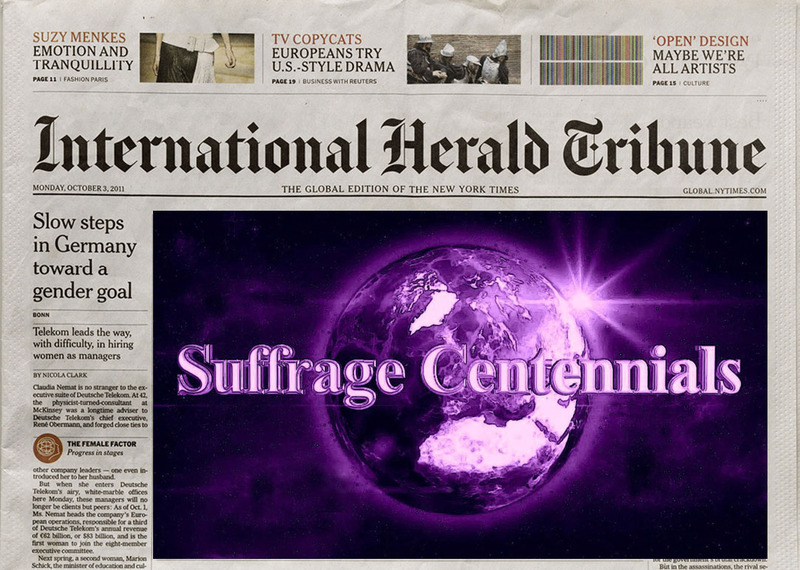 Sign up to receive the Suffrage Centennials quarterly newsletter. You can also choose to receive weekly posts from SuffrageCentennials.com by adding your email to the form on the SuffrageCentennials.com web page. This entry was posted on October 14, 2018, in Blog and tagged Suffrage Centennials newsletter. Bookmark the permalink.